Just wished my 84 yr old dad happy birthday. He has been retired for 20 years. Still active making oral history videos of his neighbors at the retirement community & raising orchids. Has me thinking abt what I would do with 2 decades of unstructured time. I have been so fortunate to find work that intersects with my passion and the line between work and play is often blurred. 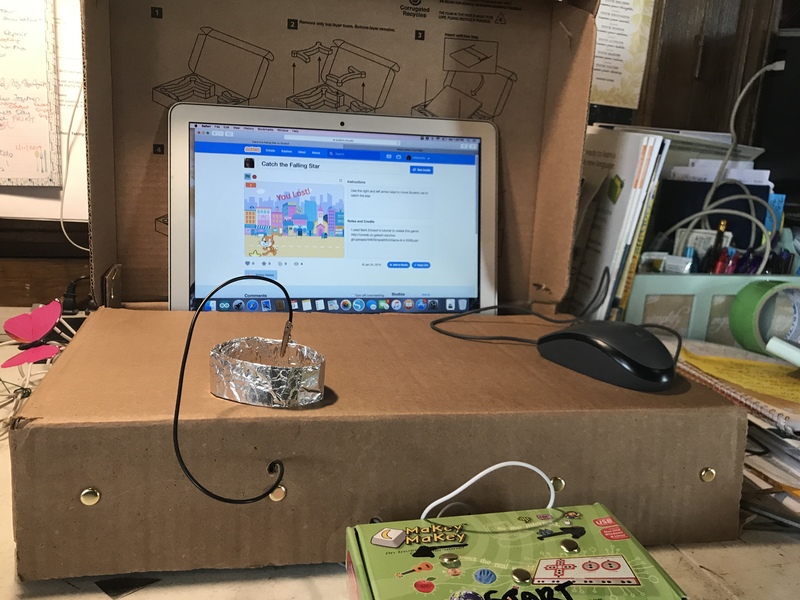 Consider it a continuum: the work includes things like balancing the books where there is little or no room for play while the play end includes things like making a game console to play our Scratch games and sample Valentine’s Day Light-Up Cards for my STEM club meeting on Tuesday. It’s called volunteer “work” but it directly connects to my own desire to learn and create…to play! The game console grew out of our experiments during our last meeting. We had some success with creating buttons and grounding bracelets but didn’t have time to perfect them. I wanted to show them how the engineering process works by taking the ideas we worked with and making a prototype of a console that they can explore.